The presence of brothers in Nairobi makes it possible to maintain links with many people in East Africa. 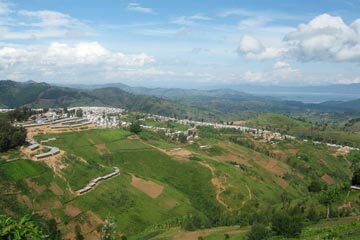 From 13 to 23 November 2010, two of the brothers visited Rwanda. They took part in the annual forum for young Catholics that was organised this year at Gikongoro. Two thousand participants from all over the country, as well as delegations from Burundi and the Democratic Republic of Congo, came together for four days of reflection and prayer on the theme “Master, what must I do to inherit eternal life?” The brothers were invited to lead a time of prayer around the Cross on the Friday afternoon, followed by an itinerant prayer that made its way across the city. On Sunday 21 November, at the St Paul Centre in Kigali, young people who had taken part in previous meetings prepared a day of reflection on baptism. The brothers also followed up contacts with various Church leaders: Archbishop Emmanuel Kolini and his newly elected successor at the head of the Episcopalian Church, Onesephore Rwaje; Pastor Pascal Bataringaya, vice-president of the Presbyterian Church; Bishop Servilien Nzakamwita of Byumba, in charge of youth ministry in the Catholic Church. 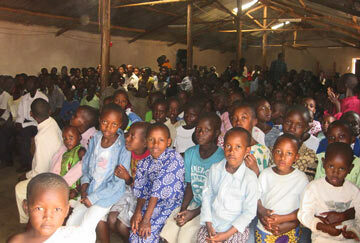 Young people from Rwanda are taking part in retreats organised by the brothers in Nairobi. Over two hundred participants, from Kenya and different neighbouring countries have signed on to take part in the meetings during the first half of December. 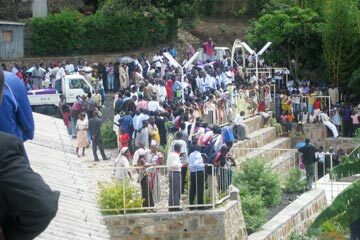 Two brothers from Taizé visited Rwanda where they met the young people who had taken part in the meeting in Nairobi – a stage of the pilgrimage of trust on earth – in November 2008. In Kigali, Butare, Kabgayi, Kibuye and Ruhengeri, we meet those that participated in the meeting in Nairobi. 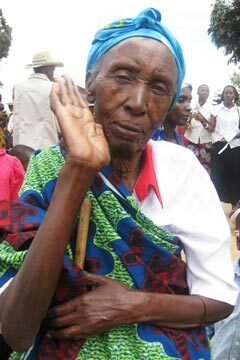 The presence there of two hundred and sixty Rwandans had made a strong impression on the Kenyans. It is good to be able to pass this message on and to thank them for having made the journey. After watching the film of this stage of the Pilgrimage of Trust, everyone had the chance to share what had particularly touched them. Several recurring themes emerged: the warm and attentive welcome offered by the families, the sense of unity despite all differences of origin and background, the moment of corporate silence at the centre of each prayer. “We didn’t know who was from which country and even without speaking the same language we were able to communicate. We found that others are just as shy as us when it comes to sharing their faith and talking about their inner life…” “In our parish, the young Kenyans gave each of us a membership card for their youth group as a sign that from now on we were a part of it too.” “You could sense people trembling with emotion as they shared their innermost thoughts and feelings.” In order to keep this up in the long-term, the young people of Kigali have formed a “fraternity of hope.” They meet each trimester for a time of prayer and sharing. 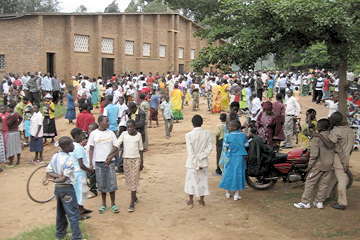 In Kabagayi they plan to split into groups to visit and witness to the twenty five rural parishes. 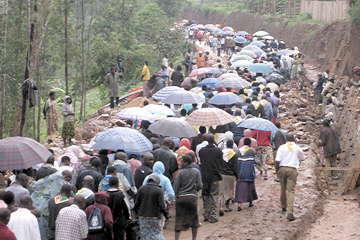 Kibuye was “full” of people escaping the capital for the May bank holiday weekend! 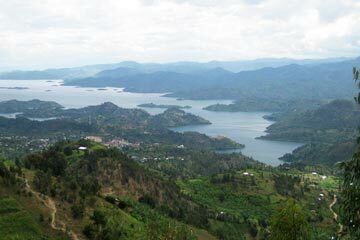 The landscape is breathtakingly beautiful with lushly forested slopes that plunge down to the ever-changing mirror of lake Kivu. Dotted with wooded islands, the coastline is serrated by long fjords that branch off into countless creeks. A few small boats ferry people from one bank to the other, a boatman calls out to potential customers, passengers sing and beat tambourines to encourage the rowers. In the evening a reddish glow appears on the northern horizon: the lava lake in Nyiragongo’s crater is reflected in the plume of smoke rising from the cone. But the landscape also bears the scars of the country’s tragic history. Entire mountainsides lie fallow, large plots of land remain abandoned and mud brick houses are left to crumble. In this region the purge was more radical and prolonged than elsewhere. On Saturday the 2nd May, we celebrate with the local residents and pastors of all confessions a prayer of commemoration of the genocide… For an hour and a half, people take it in turns to read out the 38 pages listing the names of victims. This is, however, but a fraction of the 11,400 victims killed in one day from this parish alone. Then there is the burial of the remains of 127 corpses recently exhumed in the hills. Prayers are said by representatives from the Churches and the mosque, survivors share their testimonies and official speeches are delivered by the authorities…the governor, mayor and two deputies arrive from Kigali to address the gathering. In spite of the capital’s striking dynamism and the impressive amount of construction underway, many people nonetheless face severe economic difficulties. “We are often stopped by mothers or even children asking for food. As I get to know their situation a bit better, I am struck by their courage. It is the only country in Africa where I have seen female labourers going right up to the top of scaffolding on building sites,” comments a resident of Kicukiro. In the countryside, the average size of a land parcel is half a hectare: not always enough when there are ten mouths to feed. Valley swamps are developed for rice cultivation. 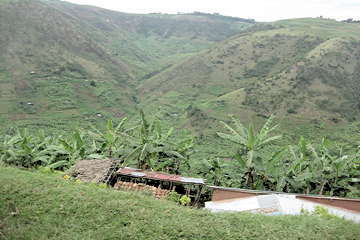 Prisoners choosing to carry out community work in order to reduce their sentence build hillside terraces which decrease the loss of soil fertility by leaching and increase the cultivable area. Education, training and self-help projects are the keys to development. There are numerous initiatives and the Churches play an important role. The community of diaconesses of Rubengera celebrates its 25th anniversary this year. These nuns, who come from different Protestant denominations, serve the local population through social development projects: orphanages, visits to the poorest and the isolated, a bakery, crop farming, dressmaking workshops, home-made cards from banana plant leaves… They take on part of the pastoral work of the parish and offer a spiritual welcome. In the main hall of Ruhengeri’s diocesan centre, Father Janvier runs a vocational training programme for girls and young women: hairdressers try out their skills on one another, others beaver away at their pedal sewing machines or are hard at work embroidering. A few kilometres away there is a brand new university campus where two thousand students are already enrolled. The Churches were not spared by the tragedy of 1994 and its consequences. And yet more people are attending than ever before. The language used in the liturgy, the songs and the texts proclaimed all resonate deeply with their history. It is here that many discover a path of consolation and of life. The churches are overflowing, even during the week. Four hundred priests have been ordained since 1994 which is more than between 1917, the beginning of the mission, and 1994! There are currently 270 in training at the Grand Seminary. So much accumulated suffering remains inexpressible. Little by little light begins to iluminate the darkness as people begin to talk and as, with each newly exhumed body, mourning becomes possible. Giving close ones a fitting burial is an essential part of the healing process and allows survivors to move on with their lives. Finding someone to confide in is invaluable. “We can offer people an attentive ear. Often someone will admit, ‘That’s the first time I have told anyone all of that.’ Sometimes several sessions are necessary. Even if we can’t solve all the problems, listening is an important first step. From there, a fresh start can be made. Meeting people that have lost everything and yet are able to get on with life is always a great encouragement to me,” explains Little Sister Stephanie. As I watch them continue their lives, I’ve come to realise that each Rwandan carries within him or herself a source of hope, “ shares Martha, Daughter of the Heart of Mary, in Butare. “It is only really when all the suffering can be voiced that we can confidently speak of being together. And yet it is only this fraternal unity which will bear authentic witness,” insists François Xavier, community leader. During a work placement, students of clinical psychology from Butare recognised the scale of the challenge facing them in their profession. They decided to form a group, the “Life oriented group” to support one another by sharing their experiences and in prayer. In the course of our meetings, we hear from those who did not give in to fear or to the insane violence, those who hid, protected or fed their neighbours, sometimes sacrificing themselves in the process. We also meet people who, after a long personal journey, have rediscovered an inner freedom and now devote themselves to the service of others. Each of these different paths testifies to man’s capacity to free himself from hate, bitterness and the absurd, and revive beyond all power of comprehension those faded impressions of generosity and self-sacrifice, pouring himself out for others… Here there are treasures to be found that will challenge and encourage others, whatever their origin or the situation they find themselves in.